It’s Mixology Monday again! This month’s theme is Coconut from JFL over at the wonderful Rated R Cocktails blog. With that theme in mind, we wanted to see if we could make a less sweet cocktail with coconut. We often see fairly sugary coconut cocktails on offer, could we depart the text? Also, is it possible to make a great coconut drink without adding citrus (mmm, lime and coconut :))? Read on to see if we succeeded or failed. We started by going to the liquor cabinet and pulling out some of the more savory spirits. Rye, rhum agricole, blanco & repesado tequila, barrel aged gin and baiju for the base spirit. The rye, barrel aged gin and rhum agricole worked well as the base. We almost skipped barrel aged gin because we just didn’t think gin and coconut would be a great pairing, but it turns out it worked so well that we decided to go with that one instead of the rye! The other base spirits did not play as nicely. The combination of coconut with the tequila brought out unpleasantly musty flavors, and the slightly oxidized wine-y flavor of the baiju came across as slightly sour in an “off” dairy kind of way. Having decided on base spirits to work with, we played with some curacao, Lillet, yellow Chartreuse, falernum and Aperol as mixers. The Lillet had the same problem as the baiju, and the falernum and curacao both were a little overpowering for the more subtle drinks we had in mind. The Chartreuse and Aperol were better, adding interest when used in small amounts without overpowering the actually rather delicate natural flavor of the coconut. 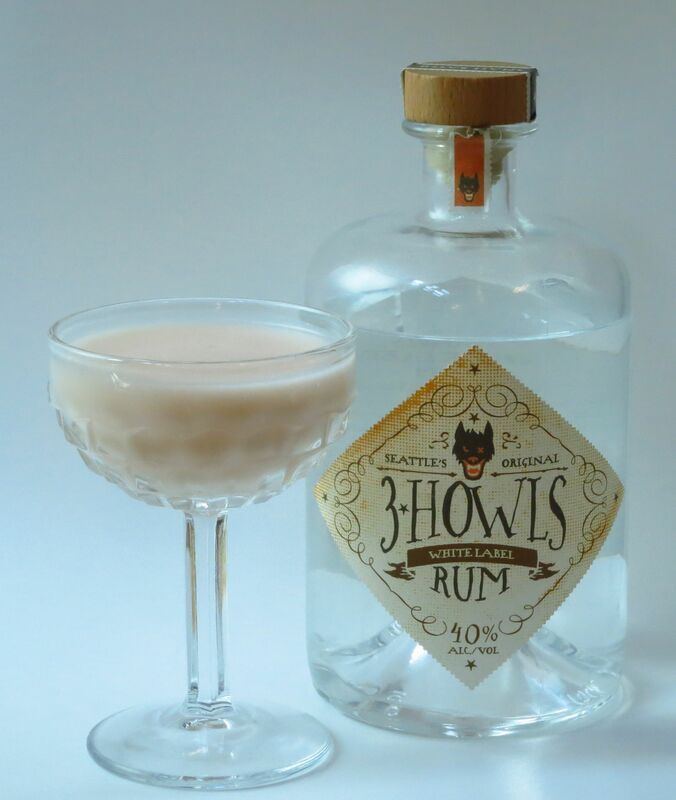 They (as well as the tincture we use in the second cocktail) balance the bite of the spirit and the creaminess of the coconut with herbal/bitter flavors rather than acid from a citrus component. With our components decided on, we mixed them up. We found that we did need to add a little bit of simple syrup – the coconut came across as somewhat flat without it. That said, we kept it to a minimum, and both cocktails are only lightly sweet, with dry finishes. Shake all ingredients with ice, strain into a glass, enjoy! Nose: Baking spice (cinnamon predominantly), honey, bitter herbs, juniper, coconut. Palate: Sweet coconut to start, followed by baking spice. Honey and herbs at the beginning of the mid-palate move into barrel notes and juniper. Long, dry, spicy finish underpinned by creamy vegetal notes. Herbal aftertaste. Nice silky mouth feel. For our second cocktail, we decided to go with a rum even though that’s a traditional pairing. 🙂 We went with a rhum agricole-style rum that provided a good starting point for a somewhat less traditional approach. 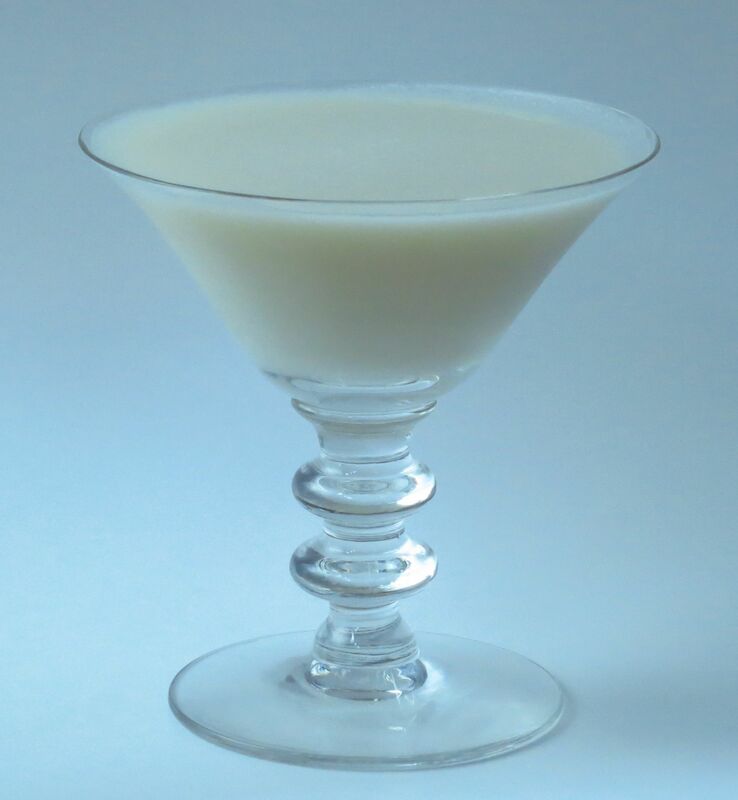 The chile heat and the slight bitterness in this drink provide a good counterpoint to the smooth, creamy coconut. Shake all ingredients with ice, strain into a glass, cheers! Nose: Vanilla, cut grass, little bit of coconut, little bit of smoky chile. Palate: Sweet coconut, grass and barrel funk to start. A touch of caramel and bitter orange at the mid-palate. Vegetal chile from the mid-palate into the finish which transforms into chile heat. Opens mildly sweet, sweetness peaks at the mid-palate and then drys out for the finish. Both of these cocktails turned out quite nicely and are at least Tiki Compliant. 😉 Thanks JFL for a great theme. Once again, it required us to stretch ourselves and try something new. Hurray for stepping outside of the box and seeing what new concoctions await! This entry was posted in aperol, barrel aged gin, coconut cream - unsweetened, Mixology Monday, Original Cocktail, rhum agricole, yellow chartreuse and tagged 3 howls barrel aged gin, 3 howls rum, Mixology Monday, nothing to declare cocktail recipe, persuasion cocktail recipe. Bookmark the permalink.